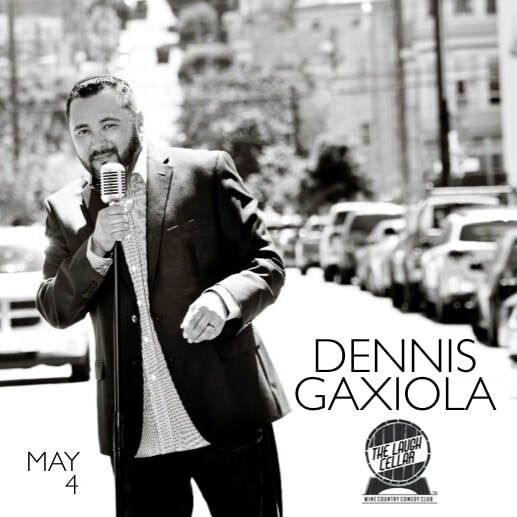 Dennis Gaxiola is a writer known for Dry Bar Comedy, Gabriel Iglesias Presents Stand-Up Revolution and Fresh + Clean Stand-Up Comedy. He has appeared on Comedy Central with Jamie Foxx, the Latino Kings of Comedy tour with Paul Rodriguez and the 2010 season of Martin Lawrence’s “First Amendment Stand-Up” comedy show. Visit The Laugh Cellar at the iconic Flamingo Resort in Santa Rosa. The Flamingo offers a full bar plus a wide-selection of delicious bar bites. Food and beverages are available for purchase before and during the show. If you're celebrating a special occasion or if you have a party of six or more, we're happy to reserve a table in advance. Note: Making a reservation does not secure tickets. You must still purchase tickets advance online. Show proof that you're attending that evening's show, and receive a complimentary dessert to share. The hotel offers complimentary parking in their lot. There is also open street parking available directly in front of hotel. You may park in the lot across the street. However, please do not park in the front spaces of CVS or iHop. Ticket refunds are only offered upon cancellation or reschedule by The Laugh Cellar.